A brilliant teaming of of the Basque accordion legend and the mandolin/guitarist from Portugal in acoustic duets of music from both places. Junkera's trikitixa finds a remarkable sympatico with Pereira's mandolin, cavaquinho and guitarra braguesa on a series of unusual and original compositions. 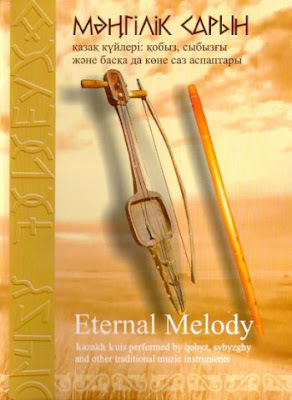 From the hoary antiquity to the present day an interesting Kazakh folk legend about the unearthly and supernatural origin of music, singing have come. It says that the song soaring high in the sky, flying over the great steppe of Kazakh nomads, fell very low, for this reason people, who heard it, were endowed with a great musical gift and abilities by nature. And the people say: «God has invested into the soul of each Kazakh a particle of a kyuy from birth». Dauletkerei(Shygaiuly) (1820-1887) - composer, kiuishi. Dauletkerei was an advocate of the spiritual development of mankind and always defended his principles and convictions. He travelled widely, met with the representatives of artistic and clerical circles and studied common people’s way of life. One of the most important events in the composer’s life was meeting with great Kurmangazy. 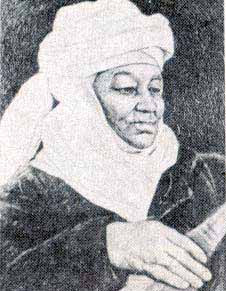 In addition to Kurmangazy, the kiuishis such as Sokyr Eszhan, Baizhuma, Musirali especially influenced the creative activity of Dauletkerei. Under the influence of such great men formed his civil world outlook and creative development. Dauletkerei’s compositions show progressive social views, philosophy of life, the lyrics of the times, the history of the people. The kiuis of Dauletkerei -«Akbala kyz», «At kalgan», «Baizhuma», «Zhiger», «Kudasha» etc. entered the treasury of Kazakh musical culture. Nurpeisova Dina (1861-1955) - outstanding representative of traditional art; composer and performer; apprentice of the great Kurmangazy, Popular Artist of Kaz.SSR. Dina’s creative activity links the past with the present. From this viewpoint her creative development itself represents a kind of transitional stage, the missing link between the classic past and the modern state of dombra music. This transitional stage is characterised by complexity and contrariety and is marks the important social and political life of the people (the liberation movement of 1916, the revolution, the Second World War, the post-war restoration period). Dina, who began her activity surrounded by her beloved teachers and preceptors, passed through all the trials and in post-war era passed as if from hands to hands the great achievements of the classics of dombra art. Dina Nurpeisova’s performances that survive on tape include the works of Kurmangazy and Dauletkerei and also her own kiuis. Dina lived a long and hard life. But no hardships could break down this proud and courageous woman. In spite of the hardships Dina never left her «old friend» - the dombra. All her life she had been perfecting her playing skill, reaching that supreme mastery, which allows by the testimonies of witnesses to speak about her unsurpassed dombra technique. 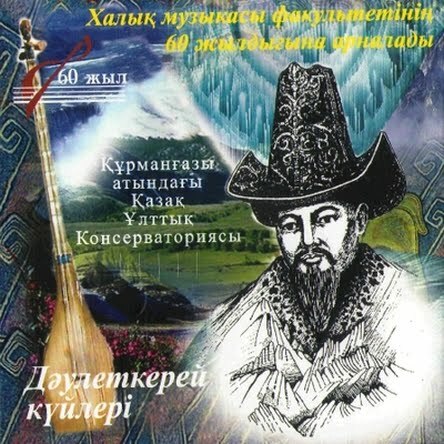 The works of Dina became classics of Kazakh dombra music: the kiuis «Bulbul», «Kogen tup», «Baizhuma», «16 god (The year 16)», «Asem konyr», «Toi bastar», «Nakaz Materi (Mother’s advice)», «Sauyinshi», «March 8» and others. Zhantleuov Kali (1902-1970) - singer, dombra player - kiui composer. People’s Artist of Kazakhstan. Born in Uralsk Region. Started playing dombra when he was five. His first teacher was the kiui composer Tulesh. Perfected his performing art with outstanding kiui composers Nurtaza, Mamen and others. Kali was not only a virtuoso dombra player, but an excellent singer. 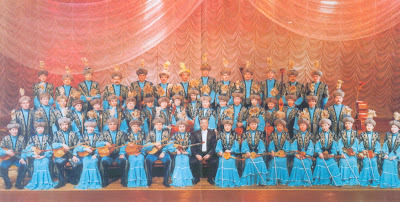 In 1934 won the first place at first Kazakhstan-wide gathering of people’s performers and was invited to work at the folk instruments’ orchestra. From 1944 became one of the first teachers at the Department of Folk Instruments in Kurmangazy Almaty State Conservatory. Zhantleuov knew well folk instrumental music (kiuis), perfectly possessed it’s performing traditions. Many young dombra players came to him to show their skill and receive his blessing. His pupils were Sh.Kazhgaliev, R.Omarov, F.Mansurov, N.Tlendiev and others. Gabdiev Rysbai - dombra player, conductor. People’s Artist of Kazakhstan. Prize winner of many competitions and festivals. Born in 1937 in Atyrau Region. Finished Almaty Musical School and the extension department of Al-Farabi Institute of Culture. 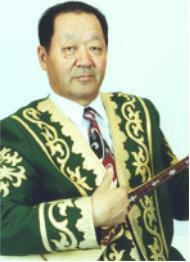 Since 1990 - artistic leader and chief conductor of Dina Nurpeisova Folk Instrument Orchestra in Atyrau Region. 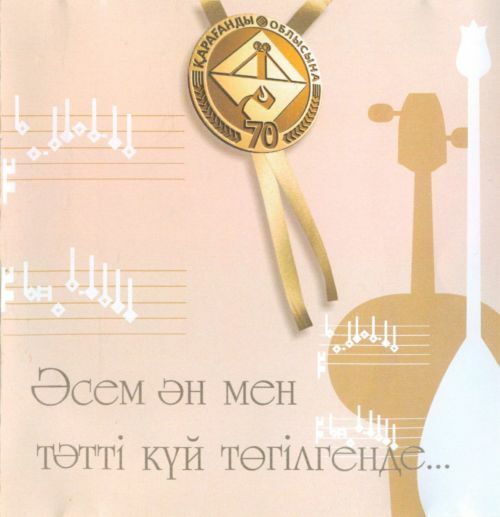 The basis of Gabdiev’s work lies in the kiuis of Kazakh popular composers (Kurmangazy, Dina, Dauletkerei, Abyl), which are recorded on gramophone records. Two of his concerts are included in the golden fond of Kazakh television. With the concert program Gabdiev has been to many cities of Kazakhstan and also to foreign countries. His creative activity he actively combines with teaching. Gabdiev works in Atyrau Pedagogical Institute and is the author of many books on the methodology of teaching dombra. Eskaliev Azidulla - dombra player. Professor at Kurmangazy Almaty State Conservatory. Born in 1934 in Atyrau Region. Graduated from Kurmangazy Almaty State Conservatory. 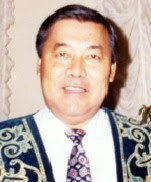 Since 1960 works as dombra soloist at Kazakhconcert. A.Eskaliev is a talented concert performer, possessing the wonderful gift of virtuoso mastery. Multiple works in his performance are broadcast and telecast. Seventeen of his records have entered the golden fond of Kazakhstan. He is a talented teacher and expert on Kazakh national musical traditions. His research embraces a range of issues in dombra performance, where the bascis of performing dombra kiui are systematised. A.Eskaliev is the author of many kiuis, which are performed by soloists and musical groups. Akhmedyarov Karshymbai - kiui performer and composer. People’s Artist of Kazakhstan, State prizewinner of the Republic of Kazakhstan, laureate of the «Parasat» orders. Born in 1946 in Atyrau Region. 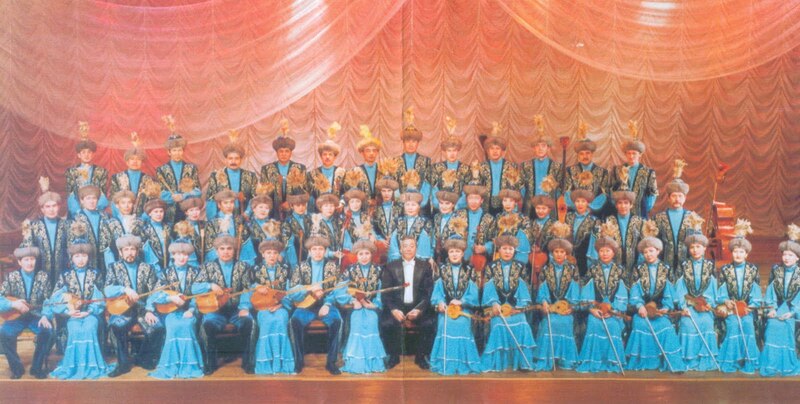 Graduated from Alma-Ata Conservatory, the Department of Folk Instruments (the class of K.Mukhitova). He worked as dombra player, orchestra leader, and artistic council member of the Kurmangazy Kazakh Academic Folk Orchestra. Akhmedyarov’s repertoire includes compositions of Russian and modern composers and also Russian and foreign classics. 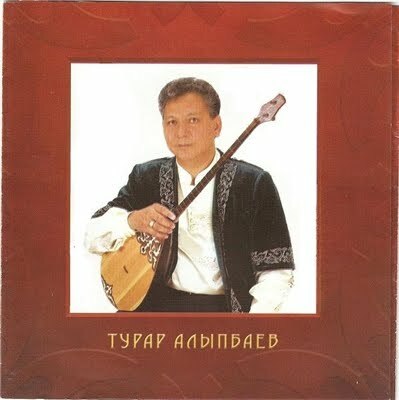 He is the composer of arrangements and interpretations of many Kazakh folk compositions. 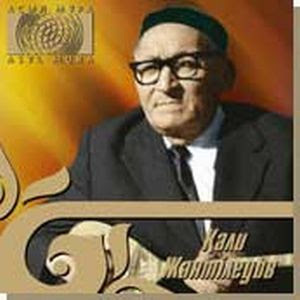 More than 50 kiuis were created by K.Akhmedyarov, among them «Naryn», «Kuanysh», «Ak kain», «Zheldirme», «Sagynysh» are most well known. Akhmedyarov can be rightly called the performer who introduced the world to the performance of Kazakh kiuis. 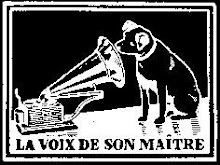 The historical development of magical and ritual instrumental music led to the formation of an independent branch of professional instrumental music. It reached the climax of its development thanks to the creative work of such eminent kyui-composers of the 19th-20th centuries as Kurmangazy, Dauletkerey, Dina, Kazangap, Yhlas, Tattimbet, Mammen, Sugur and others. This professional music art amply reflecting the life of a Kazakh nomad still adheres to its ancient sacral roots that once conceived it. The ancient notions and piety towards the instruments and music was constantly preserved in the traditional Kazakh society providing for the highest spiritual level of music art and a special deferential attitude towards the musical instruments. 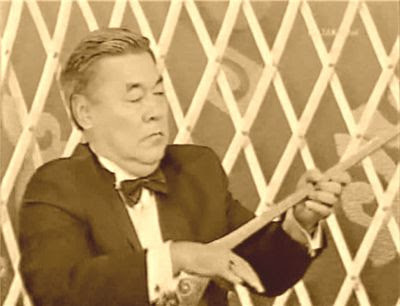 Kali Zhantleuov, the outstanding traditional musician of the 20th century, the dombra player, the artist of the orchestra of national instruments, the People’s artist of the republic, whose 100th anniversary was celebrated in 2002, has brought to us a breath of a great epoch, the “golden epoch” of Kazakh music – the legacy and live tradition of Kurmangazy and Dauletkerei, Balamaisan, Mamen and Dina. West Kazakhstan instrumental music, the tradition of dombra playing, is one of greatest achievements of the Kazakh culture, its remarkable contribution to the world culture treasure. The art of a Kazakh kyui – a lasting state (the word “kyui” means “state”), sounding vibrations of which are similar to cosmic vibrations, has always amazed a listener by its truly universal philosophic depth. The West Kazakhstan dombra tradition, the peak of which in the 19th century was the Kurmangazy’s and Dauletkerei’s genius art, reached our time in performance versions “from hand to hand”. 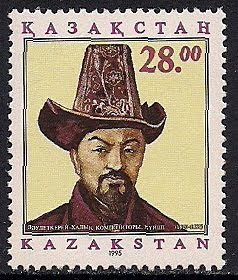 One of noted representatives of this live performance tradition was Kali Zhantleuov, who took up a thread of succession from hands of Mamen, Kurmangazy’s student. 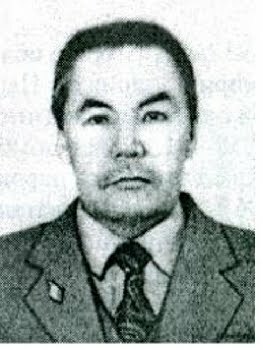 Kali Zhantleuov was born in Uralsk oblast, the former Bukeyev orda, in the locality of Kisyk kamys/Kamys samar (now Zhana kala). Since 5 years old Kali held on the dombra. The boy’s teachers in dombra art at the beginning of his development were Alabas and Nurtaza kyuishi. Soon Mamen himself, the famous musician, virtuosos dombra player, one of students of the great master took notice of Kali and taught him some kyuis. Sometimes Kali accompanied his teacher on his trips. Since Kali learned by an aul mullah and knew reading and writing, at the age of 25 he became a member of the aul Soviet and in 1929 entered the kolkhoz. A new period started for Kali in 1934, when he came to Alma-Ata to take part in the Republican gathering of people’s art workers. Here he took the first place and was invited to the orchestra of people’s instruments, where he became the “right hand” of Akhmet Kuanovich Zhubanov – the orchestra’s conductor and artistic head. For many years Kali Zhantleuov was a concertmaster of tenor dombras in the orchestra. Kali used to teach young dombra players the performance skills and kyuis. When the Alma-Ata conservatory was opened, Kali Zhantleuov received an invitation to be a dombra teacher. His students were outstanding musicians, such as Shamgon Kazhgaliyev and Fuat Mansurov, who later grew as well-known conductors. 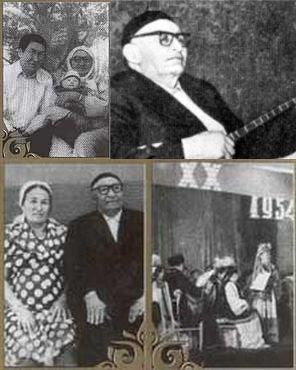 The classic dombra plying tradition Kali Zhantleuov passed over to Azidulla Eskaliyev, Karshyga Akhmedyarov, Shamil Abiltayev and Tuyak Shamelov. Kali Zhantleuov’s creative work is many-sided. He was not only the prominent dombra player and the tutor, but also a good singer. Kali’s performance art covers a wide range of styles. He was the unsurpassed performer of Dauletkerei, the people’s professional composer who has deepened the dombra tradition’s philosophical and psychological compass. His performance of “Zhiger” kyui according to A. Zatayevich, “the music of the exclusive depth, pathos and significance” until now remains to be the unattainable height of the dombra art. The performances of Kurmangazy’s and Dina’s kyuis are distinguished by an adherence to the origin spirit and a virtuosos finishing of details. Nowadays we can listen to the kyuis of Mamen, the unique author by the performance complexity only owing to that that Kali himself, as a musician, did not yield to his teacher. 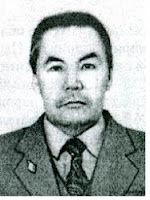 Kali Zhantleuov is, according to A. Raimbergenov, the “last great representative of the Bukeyev dombra tradition”. The life and creative work of Kali Zhantleuov are convincible of the sustainability and strength of the people’s art, its imperishable value for the culture of today’s independent Kazakhstan. Kobyz(kylkobyz) Kobyz was sacred instrument. Ordinary people even were afraid to touch that instrument, because they believed, that kobyz like the owners of the instrument - baksis, had wonderful magic force and could influence ' the fate of man. According to the legends, kobyz and music of kobyz could banish evil spirits, illnesses and death. Kobyz - an antique two-stringed bow instrument. It is an ancient type of bow instrument, which was used by the peoples of Siberia, Central Asia, along the Volga, and in the Caucasus. Each people have their own name for bow instruments of this kind, but they resemble each other in structure, hair strings, tuning, and method of playing. The structure of the instrument itself speaks to its antiquity. The kobyz is made of one piece of juniper, maple, pine, or birch. The instrument consists of three parts: the head (bas), middle (basis-keude) and lower (ayak). The basis of the instrument is made as an open cup, stretched downwards. Its lower part is covered in leather (the sounding board). Strings for kobyz are still made of horsehair. The bow is arch-shaped and resembles an arrow bow: a bunch of horsehair is bound to both ends of a curved branch and fastened by a firm thread of camel wool. The performer embraces the bow from one side by his palm. This shaman’s instrument looked very unusual: the head was crowned by an eagle’s feather, hung by different metal plates as a kind of horny curls, figures of birds, which rang with the measure of music; on the bottom of the cup there was a mirror. Those were not only decorations, but also shaman’s symbols. The kobyz has an unusual rich and colourful timbre. The philosophical legend about Korkyt - the creator of this amazing instrument is connected with kobyz. The Sybyzgy is the instrument most frequently mentioned in ethnographic literature of 18th-19th centuries. However, since the end of 19th century it is rarely met. It is easily made by perforating three or four finger holes in a cane 500-700 mm long. Since the 19th century sybyzgy is also made of metal. It is a favourite instrument of herdsmen and mostly used for playing songs and kyuis of lyrical character, which helped to preserve the most ancient mi: cal art, The playing technique is complex due to its primitive nature. However, it is this design that gives the quivering, 'natural' timbre and rich overtone sounds that makes playing the ancient bourdon duo phony possible. Blowing the three-holed instrument produces a scale of over two octaves. The shankobyz is a metallic, tongue-played instrument made of silver and other precious metals. To play it, it is held by the teeth and the mouth cavity serves as a resonator. Real polyphony is achieved owing to the easily achieved overtones and their distinctiveness. Its chamber sound is most suitable for the lyrical songs. The shankobyz is a favourite instrument for children and women alike. Saz syrnai - an ocarina-type flute is made of fired clay. Uskirik and tastauyk ('tas' - tone, 'tauyk' - a bird in Kazakh) are similarly made. These arc children's instruments used to imitate the voices of birds and animals in addition to playing simple tunes. Improved types are very popular nowadays due to their fascinating mild timbre and used to provide a kind of colouring to the modern ensemble music. The zhetygen earned its name from the seven strings pulled over the frame, which is an empty box about one meter (3 ') long. Two supports in the shape of knucklebone, asyk, are placed on each side under the strings and the instrument was tuned by varying the span between them. It is played by plucking at the strings and simultaneously pressing it on the opposite side of the support. This variation in tension of the strings produces vibrations of the sound pitches (micro pitching) giving special characteristics to the sound. By the 20th century, not even one of the zhetygen was found with Kazakhs, but thanks to the recollection of old people it has been restored. Improved types of the zhetygen are nowadays used in traditional musical ensembles and orchestras. The next instrument, sherter, combines features of the dombra - shape - and the kobyz -gouged frame, finger-board without frets, two or three horsehair strings and leather upper board. It is smaller than the dombra and according to legends, shepherds used played it to round up the sheep. The sound it produces is so pleasing to the ear that even birds alighted beside the player. It was played in accompaniment to songs and epics. Today, improved versions are widely used in ensembles and orchestras. By Luis A. Del Castillo Cadavid and Luis L. Moya, Ph.D. Most people would simply describe "Vallenato" as a type of music from the northern coast of Colombia, more precisely from Valledupar, capital of the state of Cesar. To a certain degree this may be true since Vallenato is a combination of three basic musical instruments such as an accordion, a bongo, and a guiro producing as a result a unique type of music that after many years of being confined to that region it expanded nationwide and later crossed many borders of Spanish-speaking countries as well as selected European and North American cities. The word "vallenato" comes from the phrase "nato del Valle" (native of the Valley) a common answer given by people of that region when asked where they are from. The vallenato music has four basic rhythms: son, paseo, merengue, and puya. These are differentiated from each other by the speed and way the instruments are played. In son, the slowest and most peculiar rhythm of all, the coordination of the three instruments is supremely important to be able to maintain the rhythm and melody. It can be differentiated from the others by listening to the accordion, since its seemingly individual playing of notes should always be accompanied by that of the basses. The playing of the accordion is so complex that one can almost say that the accordion player carries two performances in one melody: that of the right hand and that of the left hand keyboard or basses. It is the most played and marketed rhythm in the vallenato music. It is a little quicker than son and is divided into two kinds: slow paseo and fast paseo. The slow paseo is generally romantic although there are occasions in which it is composed in reference to a friend, a town and sometimes to regional ethnic customs. The fast paseo, as its own name indicates it, is a little quicker and is rarely romantic. Generally, this is the one that is used to make the accordion light up and take a key part in the song. Many people cannot distinguish it from merengue, another fast tempo style, because of the speed in which it is played. The common denominator among the two paseos is the rhythm that each instrument carries, although it varies in speed depending on the type of paseo. When listening attentively to any paseo, the guiro can be easily differentiated from the rest of the rhythms. Generally it is a much more happier sound than the two previous styles and also faster. Many say that its origin is traced to Central America or the Caribbean Islands due to its similarity with the Dominican merengue. In fact this characteristic can be very helpful when trying to differentiate it from the other rhythms. The merengue is danced to in a way similar to the Dominican pattern and like the paseo is also well marketed in the recording industry. Although it is not a romantic rhythm by design, many merengues are written for and about women and reveal love stories. This is the fastest rhythm of all and at the same time the most complex; however is the easiest to grasp. The accordion, the bongo, and the guiro need to be played with plenty of skills due to the speed of the rhythm. One can say that this rhythm was always utilized to express the humorous side of the people. Its lyrics generally refer to the folklore itself and are rarely sad since its fast speed does not lend itself to it. Although many people tend to confuse the Vallenato with other rhythms which, at times, are also played with the accordion, one must keep in mind that "not everything that is played with an accordion is called Vallenato." The fact is, that vallenato is more than music: it is livelihood as well as romantic expressions capable of touching anyone who knows and understands the importance of this cultural treasure. The "romancero" vallenato is a man for whom the woman and his native town with all its customs are the most important things in life. The woman that the "romancero" is in love with is the focal point of almost all his songs and many times these are composed to be sung at midnight in front of the bedroom window of the beloved woman's house. The "serenata vallenata" (the vallenato serenade) is a custom that has lasted for many years and although it is no longer as common as it was in the past, it is still practiced among the people of small towns or provinces. En serenata cuando está enamorado. Y al día siguiente le mandan un recado. And the next day she sends him a message). Just as the woman is the center of the great majority of vallenato songs, his love for his hometown is one of the many factors that awaken the songwriting talent that lies dormant inside many "cesarences" and "guajiros" (people from de states of Cesar and Guajira respectively). 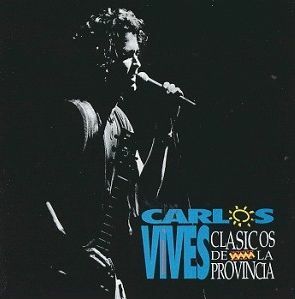 The Cesar river, the snowy mountain of Santa Marta and the Guajira desert are but a few of many settings where the "provinciano" (a person from the province) gets inspired and becomes a protagonist of his songs. It is for this reason that there are multiple compositions in which the author glorifies its native town or its natural beauties; "Rio Badillo" (the Badillo River) of Octavio Daza, is a clear example of tradition. 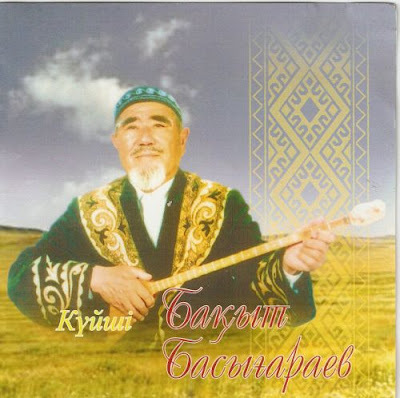 According to the book “kuy kainari” (A. Raimbergenov 1990) The history of traditional music of kazakhs closely interconnected with great musician Korkyt. It is proved by historical materials found in South part of Kazakhstan. But it is difficult to say the exact time when the traditional music was appeared in our country. Because, all the musical heritage of kazakhs was not written(note), it came to our days through hearing from generation to generation. Many of “kuys”(traditional musical composition) were forgotten and lost.I think, if our musician ancestors put their compositions into notes , we would have more musical heritage. The development of traditional kuys was in 19th century in the time of famous musicians and talented “kuishi” as Kurmangazi, Mahambet, Tattimbet, Kazangap, Dina, Sugir etc. They continued traditional way to new generation and created their own compositions which became classical music of kazakhs. I suppose, 80-90% of compositions what came to our days created by these musicians. In site www.wikipedia.org/wiki/music_of_kazakhstan written about traditional music during USSR time and its reseachers and change. Yes, In the time of USSR most of kazakh musical heritage was explored by reseachers as Zataevich, Zhubanov, Aravin, Erzakovich, Mergaliev etc. They explored music from villages and put, write music into books with notes. Thanks to these reseachers traditional music in Kazakhstan is alive and developing. Today what we learn,play and hear from traditional music are works of these reseachers. Dombyra is a kazakh stringed musical instrument played by plucking. It has wooden frame (its length is 1000-1300 millimeters) and two strings. Dombyra is the sole of kazakh people. It can show the most deep feelings and experience , also console in diffcult minutes of trouble. Dombyra-wisdom of people. Many of kuis are played with dombyra. From these kuis we can hear life experience of our ancestors, history of dramatical events , they bring knowledge about nature, philosophical views of humanity from generation to generation. Dombyra kuis were important factors of between generation succession and work as between timely tool of communication. Dombyra is a history of nomads. Through centuries and milleniums it brings memory about first pages of nomad’s history. Dombyra was witness of many historical events , which played key role in destiny of ancestors. As famous poet Kadir Mirzaliev said “real kazakh is not kazakh , real kazakh is dombyra!” our people always like, respect the songs and kuis peformed in dombyra. I suppose,In any kazakh family we can see at least one dombyra and at least one person in family could play it. National instrument dombyra in different region had different character. It varied in length, neck, shape of corpus and amount of frets. 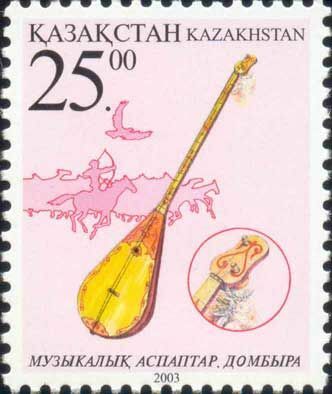 The national instrument in western Kazakhstan with long ,thin neck, pear-shaped form with 13-14 frets. Dombyra of Central Kazakhstan had wide and short neck , trapeziform or triangle form, with 6-8 frets. 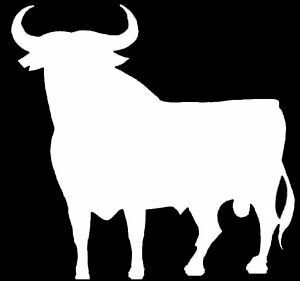 Unfortunately, in twentieth century hapenned unification of form and size, because of its industrial manufacturing. This album includes songs and melodies of Kazakh folk composers in the performance of the academic orchestra of folk instruments name Tattimbeta, Karaganda. Chief conductor - D. Ukibay. 01 . Respighi - GLI UCCELLI. The Birds. Prelude. 06 . Gershwin - PORKY AND BESS. Summertime. 08 . Mendelssohn - AUF FLÜGELN DES GESANGES (ON WINGS OF SONG). 10 . Schumann - Du bist wie eine Blume. Kiri te KANAWA. 12 . Tarrega - RECUERDOS DE LA ALHAMBRA. 14 . 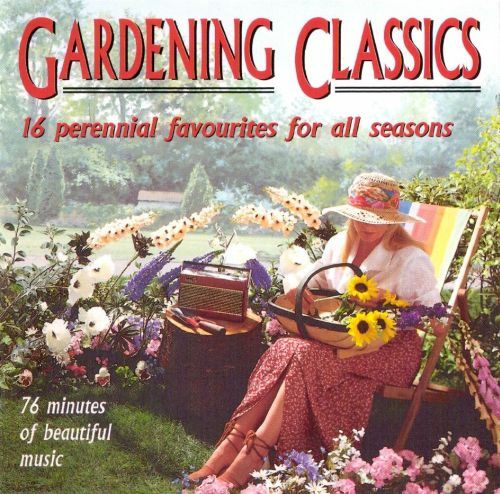 Delius - THE WALK TO THE PARADISE GARDEN. 15 . Copland, Aaron - RODEO. Hoe Down. "Happiness is to hold flowers in both hands." 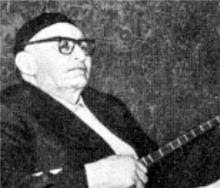 Matlubeh Dadabayeva, vocals ; with Turgun Alimatov, tanbur, sato ; Rahmatollah Samadov, dâyera ; Morad Naz Gaziov, ghichak ; Nabi Djan Ziaov, ud ; Asrar Aslanov, tanbur ; Malakeh Ziaov, Alishir Alimatov, dotâr. 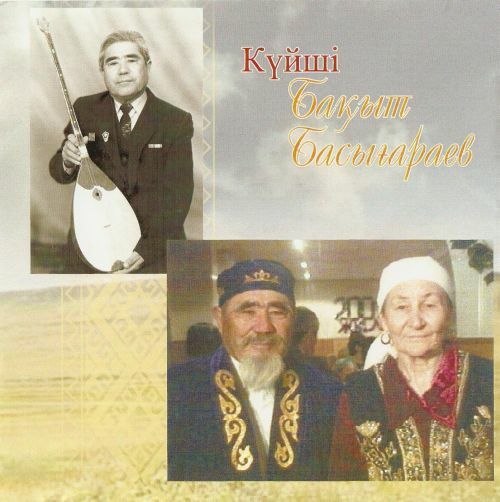 Uzbek folk and classical songs. Traditional arrangements by Matlubeh Dadabayeva. All of the sorrows and joys of existence are carried in the moaning of Matlubeh's voice, singing classical as well as folk music. 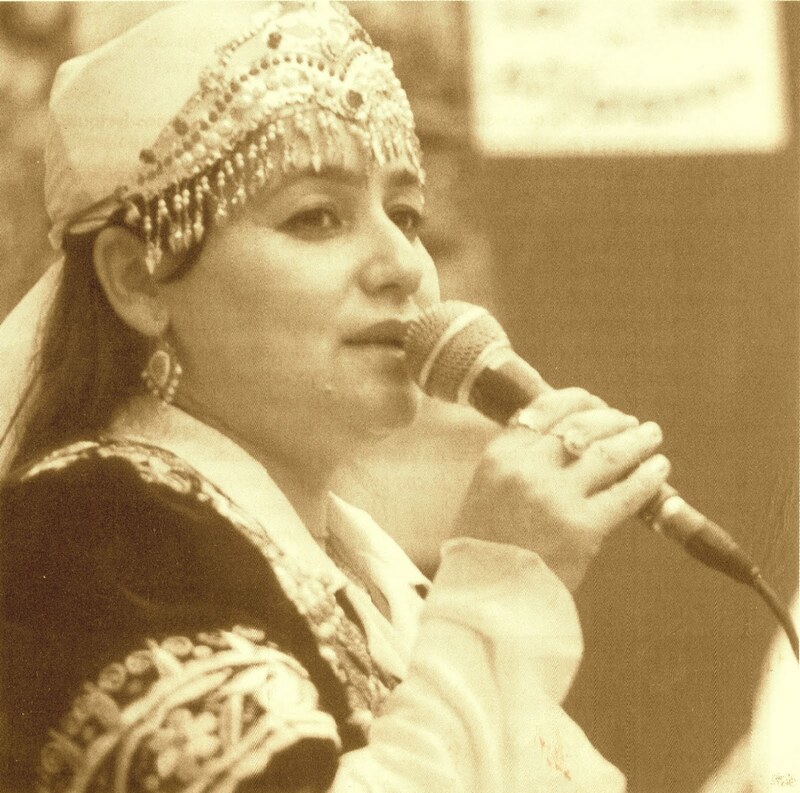 Singing in her native Tadjiki, as well as Uzbeki, Matlubeh Dadabyeva is known as one of the greatest singers of classical and folk music in Uzbekistan. 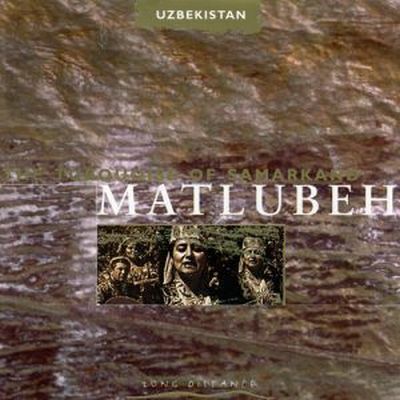 University and conservatory trained, Matlubeh is accompanied on this recording by classical music master Turgun Alimatov and other top musicians on multiple string instruments and hand drums. ... Matlubeh Dadabayeva, originally from a Tadjiki village near Samarkand, who sings both in the Persian-related Tadjiki and the more Turkish-connected Uzbeki, and is well-respected for her singing of both folk and classical Uzbeki music. The Turquoise Of Samarkand is devoted to her, accompanied by lutes - the ud, tanbur, dotâr plucked and the sato bowed - the spike fiddle ghichak - and the large circular frame drum, dâyera. Playing the tanbur and sato is one of her main mentors, Turgun Alimatov. As in all this music, the accompaniments tend to be more or less monophonic, the plucked strings stressing the rhythm, or reiterating and, like the bowed strings following and sliding with the voice. The name Raúl Barboza evokes the land where Argentina meets Brazil and Paraguay, where the population is greatly tinted with red with the vast number of Indian tribes. There is not simply one nation, but many and many populations or rather repopulations. If music is a gift, it is found in Raúl Barboza’s fingers when he plays the accordion. His music contains the generosity of the earth and calls for attention. The sensuality of his music comes from the spiritual materialism of Amerindian cultures. His melodies speak directly from the earth. 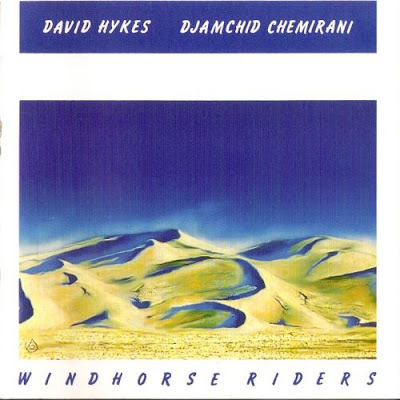 His music represents of the most magnificent links between the New World and the Old. Everything appears in a new light when you spend time with Raúl Barboza. The way in which he perceives people, trees or animals alters the manner in which we see them. He highlights the beauty of countryside and makes people seem more tangible. 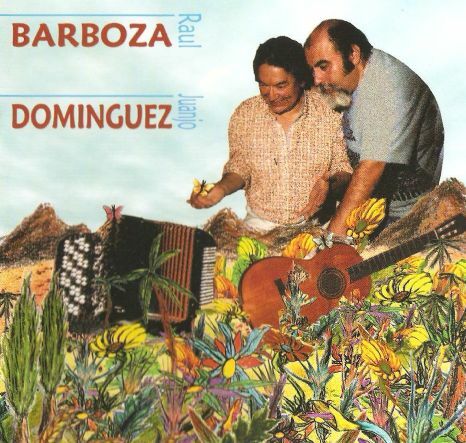 Raúl Barboza’s music underlines the secret exuberance of the banal. “Raúl is in touch with everyday life” commented Patrick Tandin, who has been behind Raúl Barboza’s concerts and records since the latter chose to reside in France. “For Raúl, art must be integrated in daily living and should not be regarded as exceptional.” He treats his work as a musician simply and attentively but as if his music was commonplace. However, it is this attitude which renders his work exceptional. 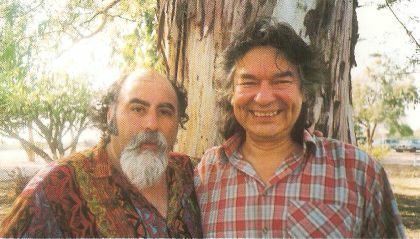 “Raúl is like a musical painter, continued Patrick Tandin, with abstract moments and concrete moments: slightly impressionist scenery which musically relates the heart of the Guarani people... The extraordinary thing is by using a language like chamamé which is known by few, Raúl manages to tell tales which touch the heart of everyone on this planet. Nietzsche believed that “Without music, life would be an error,” when you listen to Raúl Barboza, you realise that he was right. ...Each time notes come out of my accordion, it is not only a melody, but it is like the beginning of a tale, a moment of silence is like taking a breath of air. From my ancestors I learnt how to make the accordion an extension of my spirit, which does not need words to express itself. I also learnt from my ancestors how to listen to the voices of nature - the singing of birds, the galloping of animals, the whispering wind. All that is ‘Life’ which appears before us with its joy and sadness, hunger and injustice, luxury and poverty. Each time I play a tune on my accordion, I want to tell a true story. Juanjo Domínguez is one of the most prominent argentine guitar players of all times with 40 years of experience. He is a virtuous and has an incredible talent. He masters all popular genres. Thanks to a paternity legacy Juanjo Domínguez was introduced to the guitar and the different musics of the world, loving specially worldwide popular music. It’s in the tango music where he flourishes though. Juanjo Domínguez is one of the most prominent argentine guitar players of all times with 40 years of experience. He is a virtuous and has an incredible talent. He masters all popular genres. Thanks to a paternity legacy Juanjo Domínguez was introduced to the guitar and the different musics of the world, loving specially worldwide popular music. It’s in the tango music where he flourishes though. He knows the instrument and he he’s the owner of a special virtuosity that transcends the traditional academic techniques. Juanjo Domínguez can play a variety of songs, interpreting them with his own version being the pieces jazz, national folklore or European classics. He has more than 130 albums edited accompanying other artists. He has made the music for the following films: "El Che" directed by Lalo Schiffrin, "Tango", "La películas del rey", "Pepe Nuñez, luthier". To his proverbial artistic qualities, he adds improvisation and a special attention to the rhythm. Different shows and presentations credit his talent: 9 tours to USA, 11 tours to Japan, he has performed all over Europe, Turkey, China, Costa Rica, Chile and Brazil. Furthermore, he has been invited to the most prestigious scenarios of Argentina such as the Colón Theater and the Lujan Basílica. At the age of 12 he graduated as guitar, musical notation and theory professor. At the age of 15 he chose the popular guitar repertoire over the classic pieces, wherein he showed that instrumental accompanying is a complete art. He can passionate, stylist, "compadrito", or romantic depending upon the song. He admires guitar players such as Agustin Barrios, Andres Segovia or the Venezuelan Alirio Diaz, Antonio Lauros of whom he played all his pieces. Juanjo Domínguez is considered by the worldwide press as one of the best guitar players of the world. Nowadays he continues playing with JUANJO EL TRIO with a stylish repertoire for the pleasure of all his fans. No doubt he is a chosen and for the happiness of many compatriots, he is ARGENTINIAN..
8. Pra que "Esse" Bemol? Renato Borghetti´s music is unusual in Brazilian recording for being so firmly centered in the folkloric elements of his native Rio Grande do Sul, in the southernmost region of Brazil, which shares a border with Argentina. Music of this area is often associated with the traditional people of Rio Grande do Sul, the "gauchos", and with the accordion instrument. 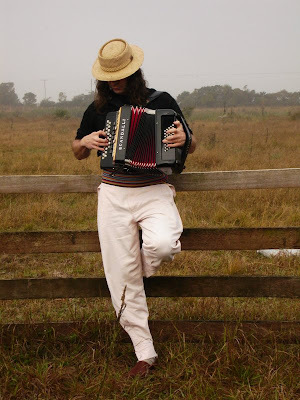 The accordion may be best known in Brazilian music as important to music from the northeastern section of Brazil – but the southern area from which Renato Borghetti hails has its own accordion, a button – box known as gaita ponto. 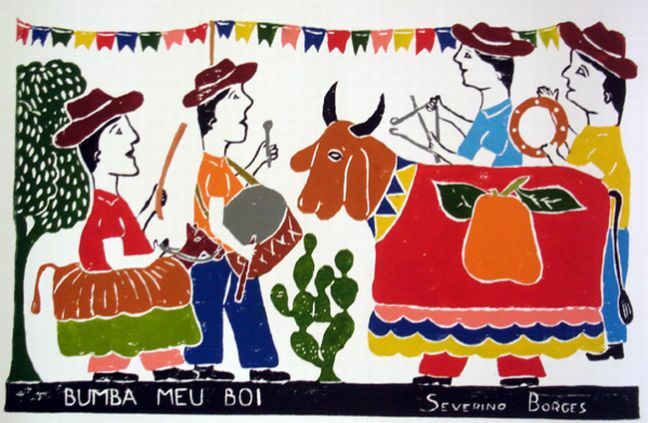 The gaita ponto – driven folk of Rio Grande do Sul, possesses great power and intensity. With that kind of music, Borghetti has enjoyed a degree of success surprising for any artist who remains faithful to his folk roots. Not that Renato Borghetti´s music is hidebound or purist: he has revised, adapted, and modernized many of the native tunes of Rio Grande do Sul; he does not shy away from more typical forms from the wide spectrum of Brazilian and global pop – samba, jazz, tango, and beyond. Each of those forms he adapts to his unique style of accordion playing. The accordion´s journey thorough Brazilian music dramatizes the many elements and influences of Brazilian music – and society – itself. 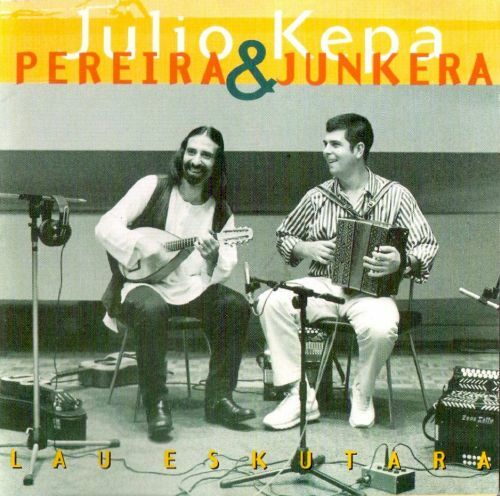 Brazilian music has so many conflicting and harmonizing influences that the painful , creative histories of pre – Columbian America, European imperialism, and post – colonial struggles can be heard in its strains. The accordion is first a European instrument , popular in many variations among working people throughout the European continent, with particularly recognizable styles rooted in southern Europe. It was the Portuguese colonists who first brought the accordion to Brazil – but twentieth – century Italian immigrants their own influences to Brazilian playing. Brazilian folk styles of accordion playing were never, however, solely European. Accordionists quickly picked up chant – like and modal qualities from native people, violating the European dance forms; to those odd blends were added the complex, syncopated rhythms of the African slaves who became an important part of the country´s population during the Portuguese colonization. Thus did the development of Brazilian accordion music – taking place, for the most part, far from the musical centers of Rio de Janeiro and Salvador Bahia – parallel the development of more familiar Brazilian forms like samba, which also blended European dance and religious music with native influences and a powerful dose of African percussion. Parallels with the development of accordion playing in the southern part of the United States also come to mind: in bayou and Tex – Mex culture, French folk singing and dancing, the music of later German and other immigrants to Louisiana, and black, Latin, and native American rhythms combined to make the zydeco accordion an instrument of grater heat, intensity, and power than its antecedents could ever have suggested. 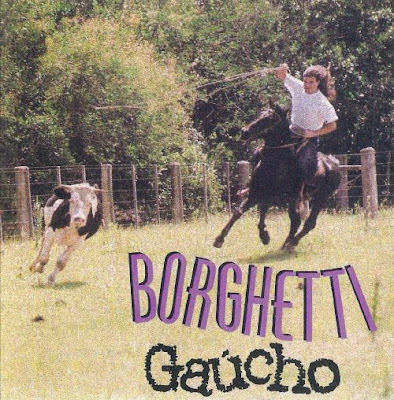 It is perhaps just such intensity in Renato Borghetti´s accordion playing that has made him a popular mainstream artist even as he renovates the folk sounds of Rio Grande do Sul - a success that is all the more surprising for a musician who has generally focused on instrumental rather than vocal music. 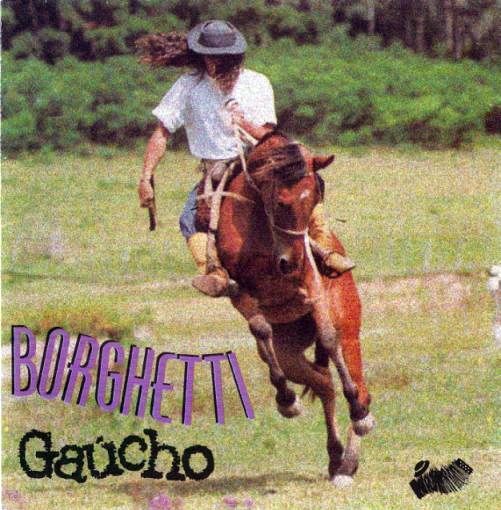 Brazilian listeners are sophisticated, at home with jazz and folk as well as with more accessible pop forms: Borghetti recorded his first album in 1984, and it was instantly successful. Later albums were even more popular; his second release, for example, was the first gold record in Brazil ever feature exclusively instrumental music. 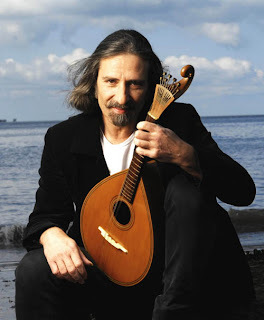 Renato Borghetti has also reached out from the older forms to samba and tango, among other styles. His playing is uncompromising in its loyalty to a folkloric past, adventurous in its openness to new ideas. 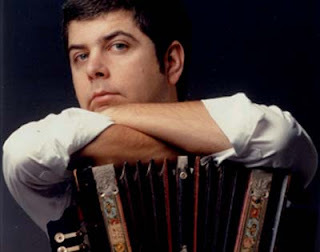 by William HogelandIt is perhaps just such intensity in Renato Borghetti´s accordion playing that has made him a popular mainstream artist even as he renovates the folk sounds of Rio Grande do Sul - a success that is all the more surprising for a musician who has generally focused on instrumental rather than vocal music. Brazilian listeners are sophisticated, at home with jazz and folk as well as with more accessible pop forms: Borghetti recorded his first album in 1984, and it was instantly successful. Later albums were even more popular; his second release, for example, was the first gold record in Brazil ever feature exclusively instrumental music. 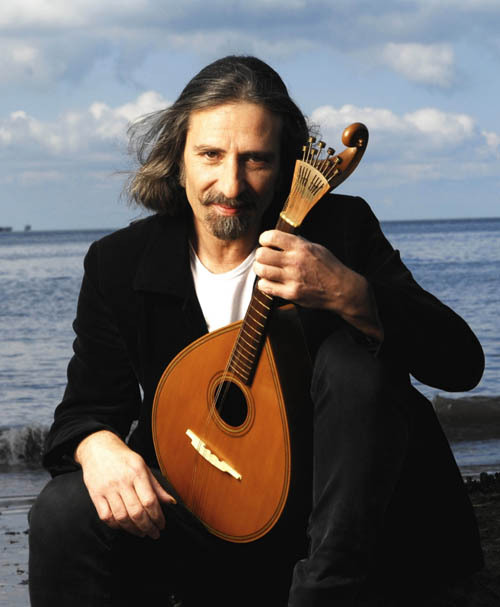 Renato Borghetti has also reached out from the older forms to samba and tango, among other styles. His playing is uncompromising in its loyalty to a folkloric past, adventurous in its openness to new ideas. "An exquisitely haunting disc of meditative music accompanied by subtle percussion." This aim is certainly the heritage of the Harmonic Chant as found in Tibet and Mongolia, where I received my first inspiration. As an experimental filmmaker and musician, I was searching for a 'refracted' or 'prismatic' sound when I came across the sacred overtone chanting of the Gyuto and Gyume monks of Tibet and the traditional 'hoomi' singers of Mongolia, all of whom I worked or studied with thereafter. These singers, and their counterparts in Tuvan Russian, each produce in their chanting several notes at the same time, that is, a fundamental note and one or more soaring harmonics, or overtones, of the fundamental note. I was inspired -- reminded, one could say -- by the sounds of these monks, shamans and singers to learn to chant in the same way. My aim and inspiration was to bring to life a new, global sacred music emanating from this most basic music universal - the harmonic series - present in all vocal or instrumental sound. The harmonic series is to sound what the color spectrum is to light.